There are three types of college bound seniors. There are those who are anxious about applying and want the whole process to be over as quickly as possible. The next group wants to spend more time exploring their options and the last group parents feel they care more about their child going to college than the child does. Clearly the first group would be excellent candidates for an early admission application. The two other groups would be better candidates for regular admission. An early admission application can't be quickly thrown together to get the process over with. The application and the college budget need to be well planned. This takes work on the parents behalf as well as the students. There are some similarities between early action and early decision. Both require applications to be submitted around November 1st and the notification date is typically around December 15th. Generally only private schools offer early application. State colleges and Universities are on a rolling admissions cycle. Financial aid forms (CSS Profile and FAFSA) must be filled out by November 15th for early decision applications and award packages are send out in writing the first two weeks of January. Early action aid form deadlines follow the regular decision time frame. Early decision is a binding application and the student is required to attend if accepted. If accepted the student is mandated to withdraw all other college applications that have been submitted. Early action is non-binding and the student applicant has until May 1st to decide. Financial aid packages will be mailed for the early action student by April 1st so there is time to appeal the package before committing May 1st. 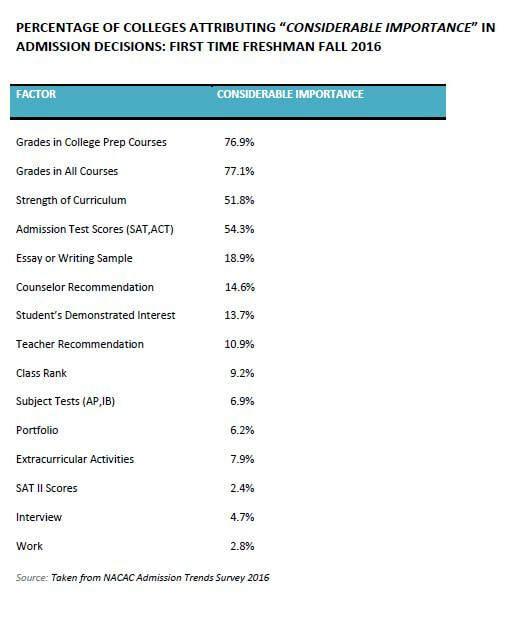 SAT vs ACT: What's the Better Choice? ​Every college in the country will accept the SAT or ACT scores. There are now many colleges that are test optional. However, 75% of the student applicants choose to send their scores to those colleges. The major differences are too lengthy to outline here, so here's a quiz that your child can take to help sort out the best test for him or her. If your child mostly agrees to the statements, the SAT may be a match; conversely if your child mostly disagrees then the ACT may be the right match. If the quiz results are balanced equally, then either test will be suitable. ​College Planning Services helps families maximize their options to help their child get accepted to their dream college while at the same time helping them maximize their free scholarship money. Please click here to set up your free phone consultation with John DeLorey. College Planning Services not only helps students with a list of potential colleges but also has been successful in helping the parents appeal their packages in a professional way. Please click here to set up your free phone consultation with John DeLorey. Why Are College Costs Less Clear Than Car Prices? When picking a car, consumers know exactly how much they have to pay because of the federally required disclosures on window stickers. Yet no Federal or State policies require consistent information, terminology or formatting on financial aid award letters. A new car costs, on average, about $33,000. A college education costs tens of thousands of dollars more and is an investment that should last a lifetime. Surely college bound families need clarity around college costs as much as they do car pricing. College Planning Services explains to parents how to read a financial aid award and we help families qualify for a minimum of $25,000 in free scholarship money. Click here for a free phone consultation to start saving now. Next to having a root canal, for many parents taking a high school student on a college visit is the second least favorite thing to do. Many students have a hard time in expressing their likes and dislikes on a college tour. Since 65% of students go to college in New England and 95% go within 6 hours of home it is best to start looking close to home until you have some routine established. Since most teenagers communicate better with peers, take 1-2 friends along on your initial visits, it will make things much more enjoyable. To have fun, make a game out of using your college rating scale, i.e. no sharing of impressions until the end of the tour. As a reward, take everyone out for burgers and fries when you finish the tour to discuss everyone’s observations and just sit back and listen to your child’s thoughts about the college. This is much less painful than getting “I don’t know” and “Yeah it is OK”. Make sure you call the Admissions Office well in advance to sign up for the tour -- some book up fast. Tidbit: For admission's purposes, colleges track very closely your visits, emails and calls. College Planning Services helps families customize their individualized rating scale which helps focus the college visit in more than a dozen areas, such as the college’s free scholarship policies, campus safety issues, four-year graduation rates and average salary ten years after graduation to name a few. ​Please click here to request a free telephone consultation with John DeLorey. There are two government loans for college -- the Direct Stafford Loan for students and the Plus Loan for parents -- both interest rates are going up for the 2018-2019 school year. The student loan rate will increase on July 1st to 5.1% for the 2018-2019 academic year. This is up from 4.45% last year. The student is limited to borrowing $5,500 freshaman year and will have to pay a 1% origination fee to borrow the money. This increase means your child would pay $300 more in interest over a ten year period. The loan repayment starts six months after graduation or upon leaving school. The government loans are fixed rate loans; however each year you will have to get a new loan and each year the government releases a new interest rate. Parents can borrow up to the cost of education for that school year, the interest rate will be 7.7% up from 7% and the origination fee will be 4.4% and payments start immediately. Credible.com has a handy loan cruncher that will provide you with a clear breakdown on how much you will pay back for the principle and interest. Tidbit: All the interest paid on the student and parent loans help to offset the cost of the Affordable Healthcare Act. ​College Planning Services helps families minimize their need to borrow by helping them qualify for free scholarship money from the college of their choice. Please click here to request a free telephone consultation with John DeLorey. The financial aid package is a direct result of completing the complicated financial aid forms and the colleges applying their financial aid policies to your “college tax.” It is not unusual to see Boston University giving a family $10,000 more in free scholarship money than say Northeastern. The reason is that Boston University’s financial aid policies are more generous to those families who exhibit financial need than Northeastern’s. What happens if this family wants to appeal their package from Northeastern? Most parents’ first inclination is to call Northeastern touting the Boston University package and asking for more money. This is not a good idea for a number of reasons; the primary one being the parent is treating the financial aid counselor at Northeastern as they would a used car salesman. The chances of that appeal strategy netting them more money is minimal. If a parent wants a fighting chance to get more money from a college on an appeal, they need to do three things. The first is to resell their child, not to Admissions, but to the Financial Aid office, so they will know that if they do “budge,” the student will attend their school. The second thing is to do the math to determine the amount of unmet need. As in the example of the family at Northeastern it is $10,000. The third thing is to determine what the colleges don’t know about their particular family situation. The only thing a college knows about a family is what they put on their financial aid form, verified by their taxes. There could be a number of extenuating circumstances that the college would not be privy to, such as a loss of income, care for an elderly parent, etc.